ALEXANDRIA, Va. (CN) – Philip Ayliff, a tax preparer for Paul Manafort, testified Friday that he and his firm received multiple emails from the former Trump campaign chairman and his business associate, Rick Gates, assuring them they had no foreign bank accounts. Ayliff, of Kositzka, Wicks and Company in Richmond, Virginia, told jurors he asked Manafort directly in a 2011 email if he, his wife or any other family members had foreign accounts. Manafort said they did not, Ayliff said. As he spoke, a copy of the email exchange was shown to the jury. A year later, Gates assured the accountant that there was no need to file any documentation with the IRS related to Manafort’s interest in Cypriot accounts. “Can you provide proper tax advice to Mr. Manafort if you are not aware of all his foreign accounts?” prosecutor Uzo Asonye asked. Asonye also read Ayliff a list of foreign entities Manafort controlled that were reported as doing business with Davis Manafort Partners International. Ayliff said he did not recall what he thought the relationship was between some of the entities and Davis Manafort Partners International, but that he believed others were clients based on how they were coded in the company’s general ledger. Prosecutors say Manafort used these overseas entities to shield money from taxes. Ayliff testified that neither Manafort nor Gates ever told KWC that Manafort controlled these companies and that Manafort’s interest in the properties would have been significant for tax purposes. “I want to make sure that income is being picked up and reported correctly,” Ayliff said. Among the charges Manafort faces in his trial in federal court in Alexandria are four charges that he failed to disclose foreign bank accounts and transactions to the federal government. Manafort has pleaded not guilty to all the charges against him. At one point during Ayliff’s testimony, Manafort’s wife, Kathleen, left the courtroom, visibly upset. She returned a few minutes later. Earlier on Friday, Ayliff told Asonye he met Manafort at least 30 times over the years the former lobbyist retained his firm. Davis Manafort Partners became a client of KWC in 1995, but by 1997 Manafort hired them for personal tax services for himself, his wife and two daughters. Ayliff testified it was Manafort who gave him all the direction necessary when it came to his personal accounts but when it came to Davis Manafort Partners, he described the responsibility as something shared between Manafort and Rick Gates. “How would you describe the role Mr. Gates had in the business?” Asonye said. “He was his right-hand person,” Ayliff said. “But who was in charge?” Asonye continued. It was Manafort who was “in charge,” he said. When Asonye asked if he believed or had known Gates to be deceptive about business practices at Davis Manafort, Ayliff said he had not. Gates never “hid information” from Manafort,” Ayliff said. During Ayliff’s testimony, prosecutors had the tax preparer review several personal and business-related tax forms filed by Manafort – or Davis Manafort Partners Inc. from 2010 to 2014. In 2010, Davis Manafort reported sales of $5 million with loses just around $149,000. In 2011, the firm reported gross receipts of $5.3 million and a profit of $660,000. Later that year, Ayliff said, Manafort dissolved the company and formed Davis Manafort Partners International LLC. The only other partner in the venture was Manafort’s wife, Kathleen. The company reported gross receipts of $7 million the first year the LLC was formed, with a profit of $950,000. That was also the year Manafort listed a $1.5 million company liability. It was a loan due to Peranova Holdings – one of Manafort’s shell companies. The profits only continued to increase for the company with Manafort reporting $1 million in profits for 2013 and $2 million in 2014. And on the forms, Asonye asked, did Manafort at any time report that he had foreign bank accounts? Ayliff said when he asked Manafort about loans from Peranova that appeared on the Davis Manafort Partners ledger between 2012 and 2015, his client was often unresponsive. Ayliff said he was also curious why there were no recorded interest or principal payments on the loans. “Is that unusual?” Asonye asked. That depends on the term of the loan, Ayliff replied, but when the tax preparers tried to determine why there was zero activity on the loan for over a year, Manafort said only that the loan was still outstanding and the matter was dropped. Under cross-examination from Manafort attorney Kevin Downing, Ayliff explained to the jury a “balloon loan,” which is a type of loan in which the entire balance becomes due at once. Ayliff confirmed to Downing that such loans are legitimate financial transactions. Prosecutors argue that when Manafort’s income began drying up in 2015, he turned to fabricating mortgage loans and improperly classifying his holdings to stay afloat. In 2014, Gates listed the property as a “personal” asset for Manafort according to tax documents. However, just a year later, Ayliff said, Manafort told him to consider the property a commercial asset. Ayliff testified that in a separate email exchange, Manafort asked him to tell representatives of UBS Bank that the Manaforts used a property on Fifth Avenue in Manhattan as their personal residence, not as a rental property. Ayliff said on Friday he wasn’t willing to tell the bank this because the tax preparer had always treated the property as a rental. Facing cross-examination from Downing, Ayliff explained it would matter whether Manafort listed property he owned as rental property or as his personal residence because different types of properties qualify for different tax breaks and benefits. However, Ayliff confirmed to Downing that Manafort’s income was too high to qualify for some types of benefits given to rental properties. He also testified Gates was not involved in the email exchange. After Ayliff, jurors are expected to hear from Cindy LaPorta, another tax expert from Kositzka Wicks and Company. 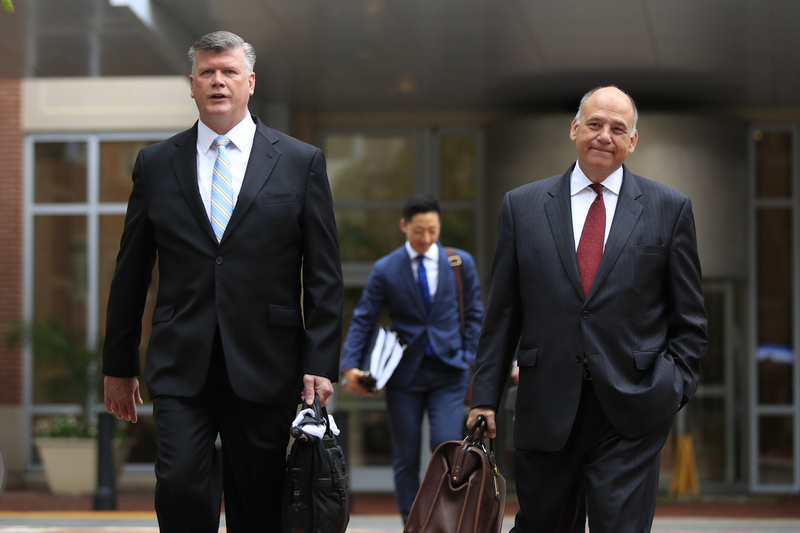 LaPorta is one of five government witnesses who received immunity ahead of trial. In addition to Laporta, the special counsel also granted immunity to bookkeepers Dennis Raico, Conor O’Brien, Donna Duggan and James Brennan. Once prosecutors plow through the final round of examination with Manafort’s bookkeepers, it is likely that the prosecution’s key witness, Rick Gates, will be called to testify. Defense will begin laying out their response to the prosecution’s case next week.